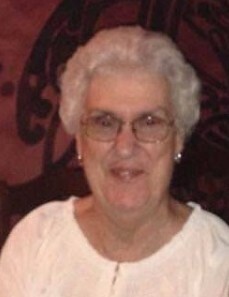 Beverly May Mullen (nee Keefer), born April 9, 1937 in Roanoke, Indiana, passed away January 24, 2019. Preceded in death by loving husband Robert Mullen, parents Russell and Rosa Keefer, and siblings Jim Keefer, Don Keefer, and Barbara Keefer. Beverly is survived by dear children Rodney (Pennie) Mullen and Roger (Lisa) Mullen, cherished grandchildren Teague (Joanna) Mullen, Douglas Mullen, Torri Briggs, great-granddaughter Brooklynn Mullen, and beloved brother Gary Keefer. Beverly was an avid gardener, enjoyed ceramics, and cherished spending time with her grandchildren. The family of Beverly will be receiving friends for a visitation at Shorten and Ryan Funeral Home-Mason (400 Reading Road, Mason, OH 45040) on Monday, January 28, 2019 from 6:00 PM - 8:00 PM with a funeral service to follow on Tuesday, beginning at 11:00 AM. Burial at Rose Hill Cemetery in Mason will follow.